We love to step out the box to capture images for our clients. This mana requested a milk bath session with her three month old cutie. We knew flower crowns, light airy colors and a very feminine feel were a must! These images came out exactly as we has in our heads they would. Love it when that happens!!! This sweet girl is a total mama’s girl and gave the sweetest smiles during her session. 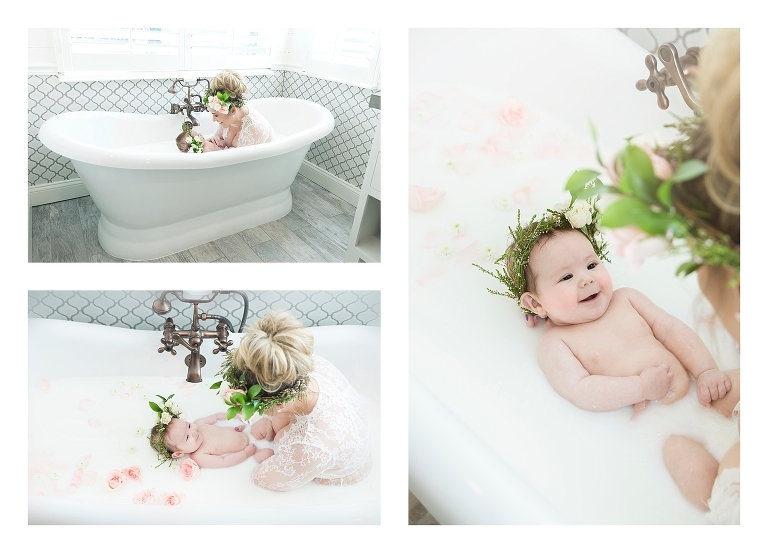 Not only are the milk bath images timeless and beautiful, but these mama and baby nursing photos may be some of my all time favorites. There is something so sweet about the connection moms and babies have during feeds.